For our latest giveaway we’ve taken inspiration from another of our favourite Instagram bloggers. This time it’s the lovely Sophie from ‘A hint of Decor‘. A first time buyer and owner of a beautiful new build. Furthermore, Sophie’s style is elegant yet fun, classic yet laid back and we just love it! For instance, her new hallway paneling. Ultimately, we’ve embraced Sophie’s style by pulling together some stunning crystal effect, crushed velvet grey designs with a hint of glamour. All you have to do is comment in the comments section below. This competition is available for UK entrants only. Any comments made on our Facebook, Instagram and Twitter competition posts will also be taken into consideration. One winner will be chosen at random and announced on Thursday 16th August. Good Luck guys! Which lights are available in this competition? 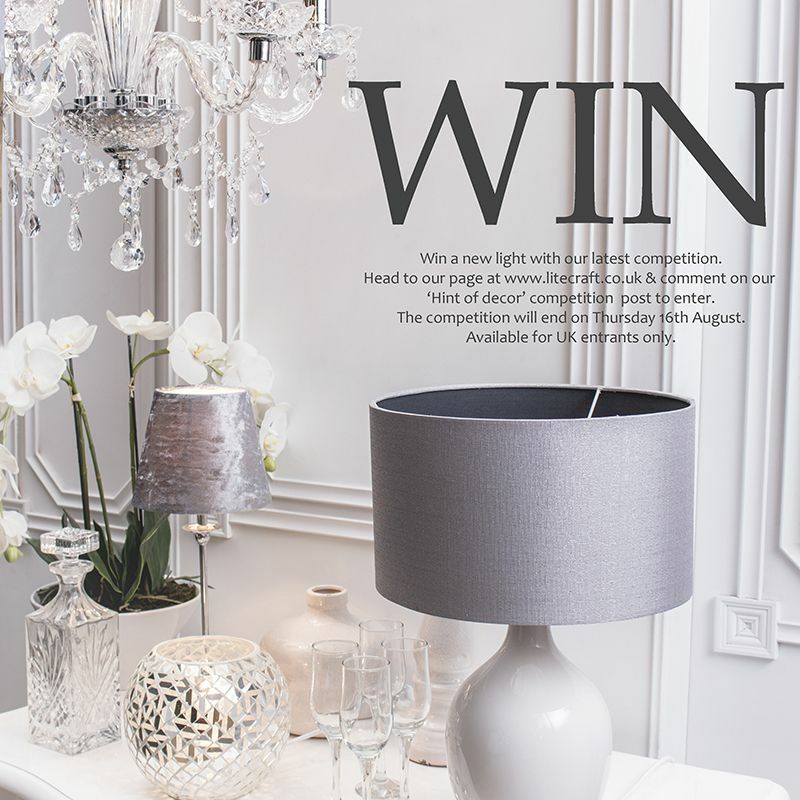 Scroll down to see what’s available to win: Avignon Crystal Chandelier, White Bulbous Table Lamp with Grey shade, Mosaic Ball Table Lamp and our Crushed Velvet Grey Shade and Chrome Base Table Lamp. Each one is just stunning but the Mosaic Table Lamp is the one I probably covet most. Such Beautiful Designs I LOVE 💕 them all! What an amazing selection , the chandelier would be perfect in my dining room . What a fantastic prize bundle! I would love to win this! Wow! Absolutely stunning range of lights. Super a fabulous prize! Thank you very much for the chance to win!!! Wow what a fab comp. Count me in please. I love this collection. So stylish. The crystal chandelier is very pretty! Such a beautiful selection of lights. Thank you for the opportunity to win one of these. All of this lights are stunning, but my favourite is the crushed velvet grey shade with Crome base, absolutely beautiful! I love the mosaic ball lamp, it’d look lovely in my living room! That crystal chandelier is like a dream. Beautiful selection of lights. The crushed velvet light shades are very elegant. 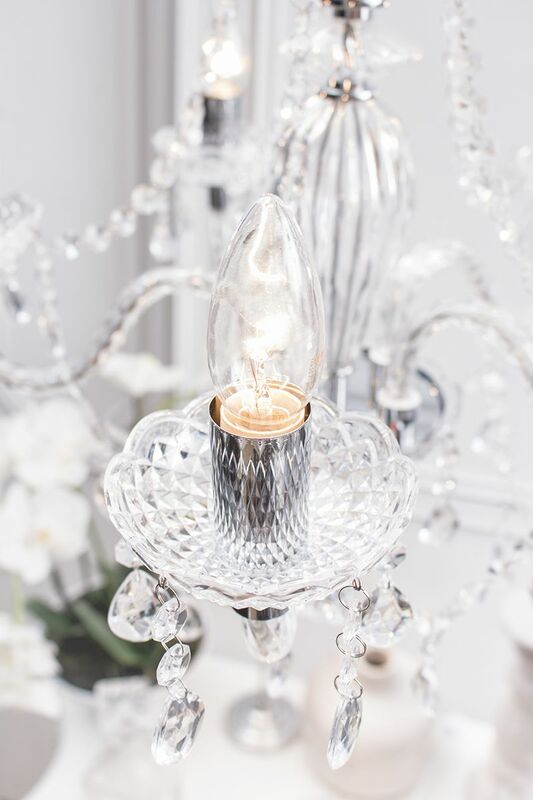 The Avignon Crystal Chandelier is just mesmerising. I`d love to come home to it. Beautiful! 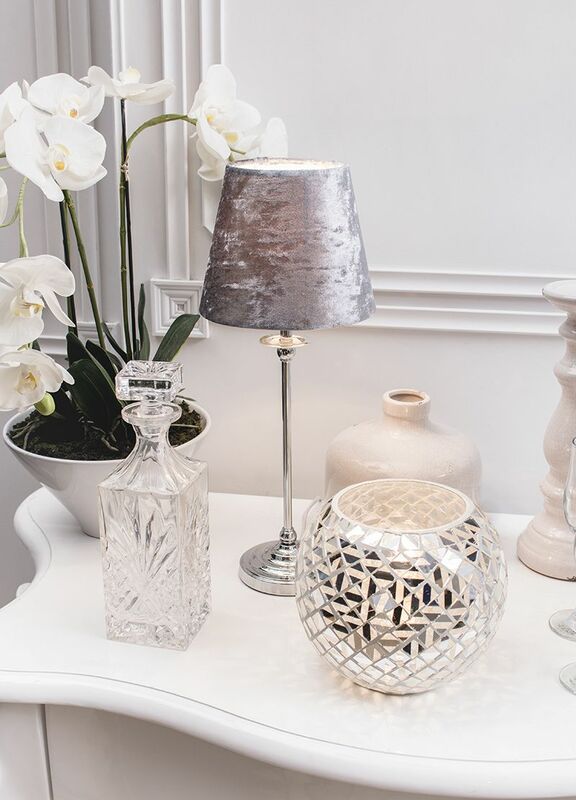 I particularly love the Crushed Velvet Grey Shade and Chrome Base Table Lamp. Beautiful lights, especially the chandelier! They are all so gorgeous, it would be a touch choice! Would love to win, make an amazing addition to our little home! It is all the small details that make a home, having the correct lighting is key also, This is an amazing selection of utterly stunning lighting, I’d love to win. the table lamp is my favourite but they are all gorgeous ! Avignon Crystal Chandelier has to be my favourite, but they all have their own elegance, they would be sure to impress. Beautifull, stunning, gorgeous, classy!! Good Luck everyone!!! I love the Mosaic Table Lamp. I love the mosaic lamp! I absolutely love the White Bulbous Table Lamp with Grey shade! I love the White Bulbous Table Lamp with Grey shade. It would look stunning in my bedroom! The crystal chandelier is something i would aspire to. Looks amazing. I’m really liking the White Bulbous Table Lamp with Grey shade. Thanks for this giveaway. 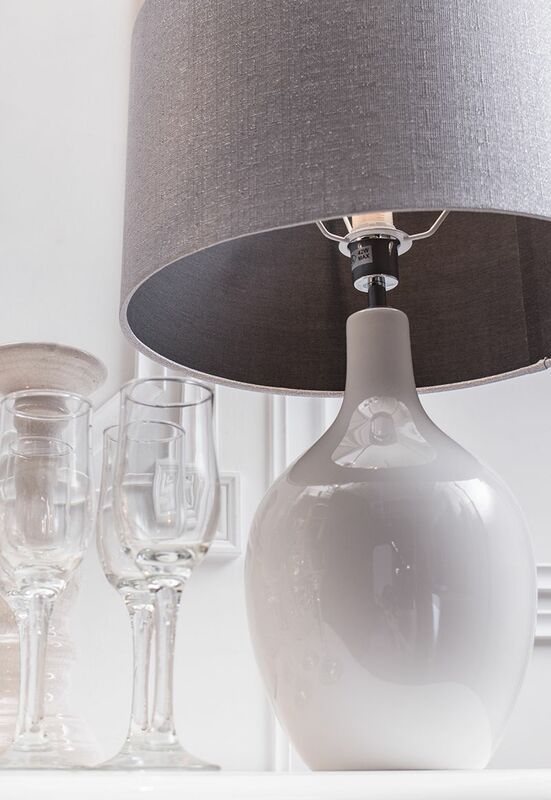 The White Bulbous Table Lamp with Grey shade is my favourite! Lovely. Would love to have in my living room. 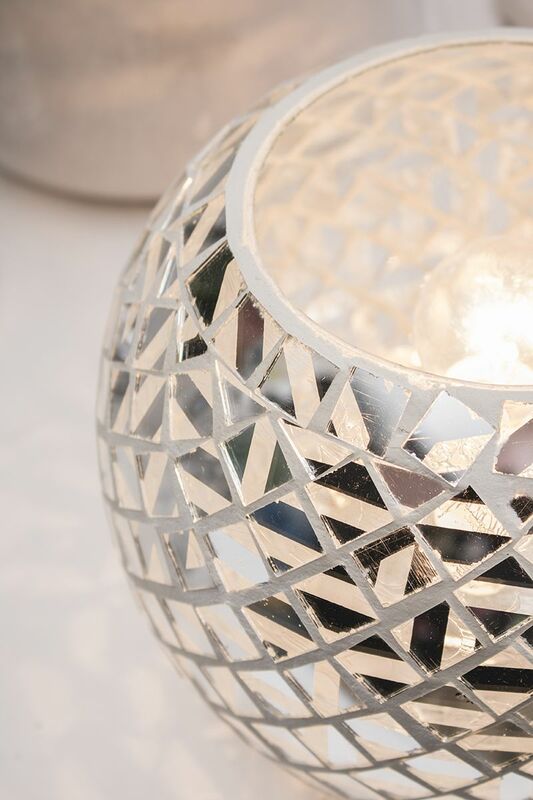 Oh my, the Mosaic Ball Table Lamp is a must have. A wonderful selection and would all fit in very nicely in my newly decorated sitting room with grey sofas. I love the grey table lamp. So many beautiful lights it would take me ages to choose. These lights are amazing! I would love any of them in my home! They are all lovely, but I particularly like Avignon Crystal Chandelier. Those are all gorgeous! I can imagine the table lamp looking great in my room. Stunning lamps & lights. Elegant, sophisticated & eye-catching. I loooove the chandelier! Love your products, stunning home furnishings that would give my home style. I love them all . So glamorous! Wow we would love to win please. 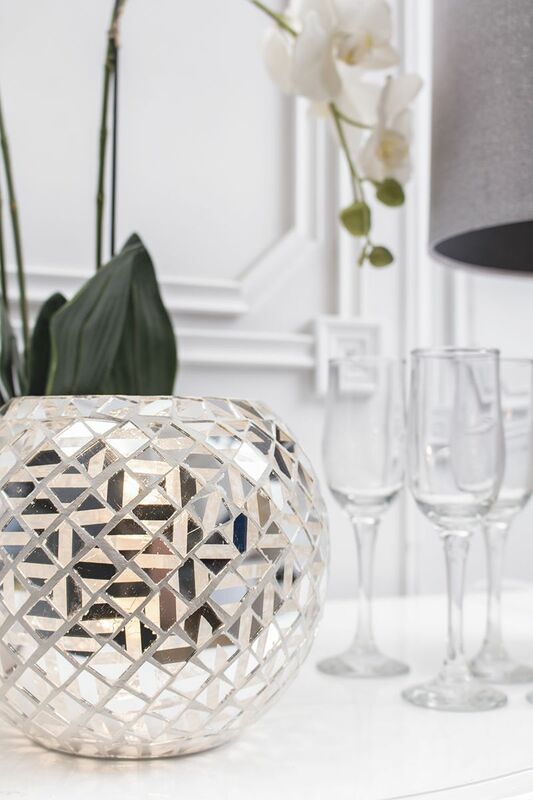 The Mosaic Ball Table Lamp is really modern and stylish! 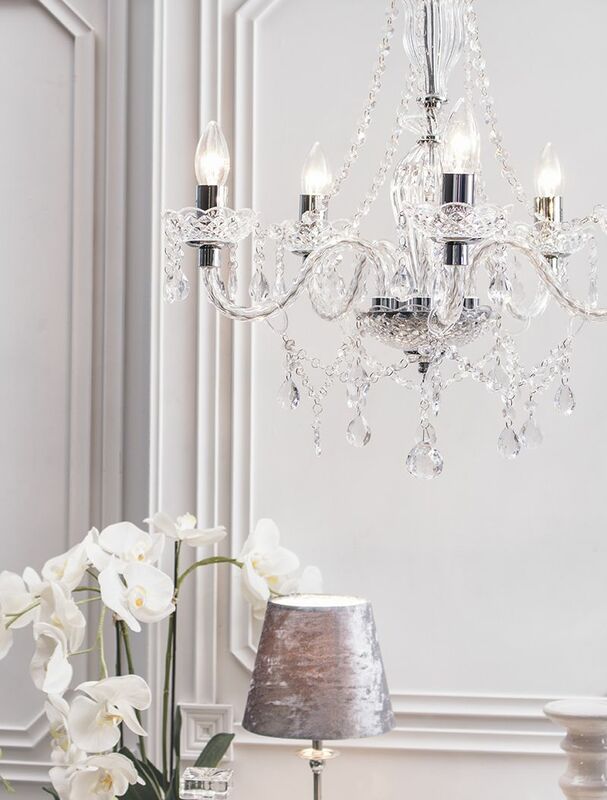 The Avignon Crystal Chandelier is so elegant and really would make such a dramatic effect to a room. I really love the prizes in this competition as they would all really transform a home. All luxurious and stunning but my favourite is the Crushed Velvet Grey Shade. I’m a great lover of good lighting effects. They make all the difference to a room. Love your lamps!! I love these a whole Watt!! I love the bulbous table lamp. The chandelier is truly stunning. We’ve bought many lights from Litecraft over the years and love how unique and unusual some of their lighting is. Loving the grey lamp. I’ve just decorated my lounge grey. Goose down walls, white units and a grey wood floor. I think this would just finish it off. Beautiful table lights. Love the one I got from your store last year. They are all gorgeous! Especially the chandelier! These are all absolutely beautiful. These are all stunning. The chandelier is probably my favourite. Thank you for a lovely giveaway. This would be a fabulous addition to our living room! Love the lamp with the grey shade. I really need a new table lamp for my lounge as we recently moved – I would love to win this!! the vignon Crystal Chandelier is stunning! Love these light fittings, they’d look gorgeous in my house. Your product selections are always lovely and this is no exception. I particularly like the smooth lines of the White Bulbous Table Lamp with Grey shade. I am currently renovating my house, these would ALL be so perfect! Omg I’m so in love with the chandelier. I’m decorating my boudoir and it’s going to be in stunning silver glitter paint etc. What a lovely prize. They are so all beautiful. They are all beautiful. I particularly like the lamps and the mirrored light. These are stunning, so stylish! All the lights pictured are very tasteful and any light would contribute and accessorise with fine quality. They’re really nice. I like that they’re glamorous but not too in your face. I Love the Chandelier but we live in a cottage with low ceilings (I am 5ft2 and can touch the ceiling without tip toes!) So I would choose the grey crushed velvet lamp it’s so pretty! There are some stunning lights here but my favourite is the white and grey one. They all look lovely! Fingers crossed. Thank you. They are all stunning, but I love the Avignon Crystal Chandelier. Stunning range, I’d love to win! Gorgeous! The Avignon Crystal Chandelier is my favourite. I love them. I love them all! Stunning! My favourite is the Chandelier. What a fabulous collection – I am impressed by the all but I do love the table lamp in particular. Stunning choices. Count me in! I love the White Bulbous Table Lamp ,they are all beautiful. Look really fantastic – Would be great in my lounge! The photos of the lights are gorgeous and I’d love them all In my new home, but 8 have tight budget restrictions (wh8 doesn’t when buying a h’me?!? ), so I hope I can win one table lamp and move it around until I save up for the next one ! The whi5e bulbous bass would perfectly suit my decor! 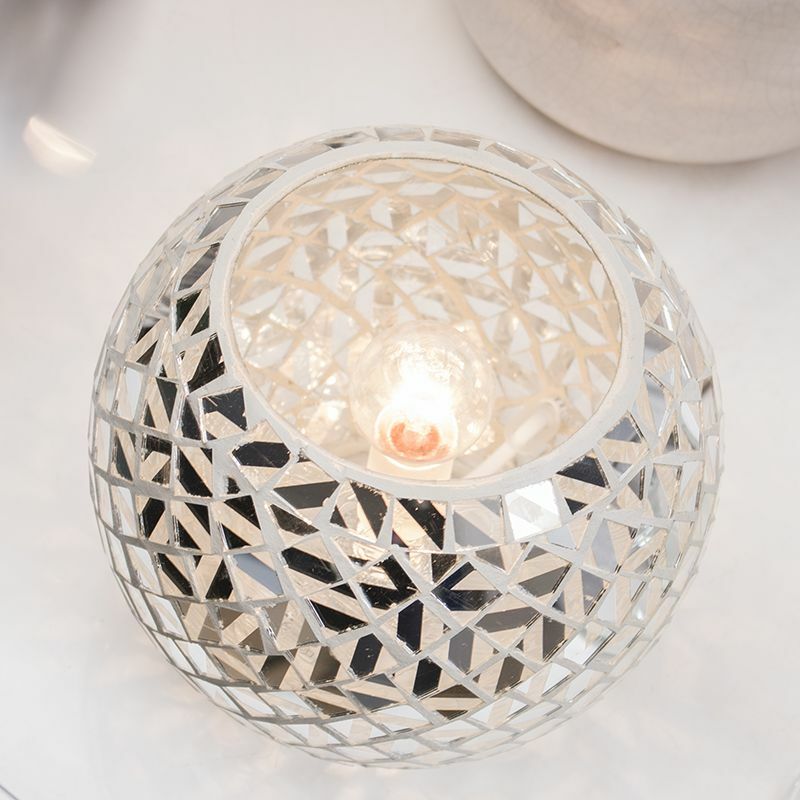 I love the mosaic ball table lamp, it’s such a lovely design! Oh goodness I feel like I just found a whole new world of beauty and now I need it all! Love the Avignon Crystal Chandelier! I really love the mosaic lamp, so different! Perfect for my newly styled bedroom. Have bought some beautiful pale grey painted oak furniture, so this would top it off a treat. I just love the mosaic ball lamp. It so sparkly! I like the crushed velvet lamp. Redecorating whole house year, lounge is next ( after bathroom is finished) and according to teenage sons I need to move into the 21st century so any of these lights would keep them happy and me !!!! Absolutely gorgeous lighting….fingers crossed !! Lovely selection, I really like grey. These are all stunning. Would make a lovely statement in any room. fab giveaway! love the collection! Love both the table lamps, but especially the one with the crushed velvet shade. Absolutely stunning, love everything in this prize, keeping my fingers and toes crossed. Would love to win a chandelier to gift to my parents who are currently doing up their house! Oh my, so much Elegance from these beautiful lamps..I’d be thrilled to be counted in to win such a fabulous giveaway. Wow I would love this as I have just moved house so a new light would help make the place more like home! Love it! Would look great in my house! Some beautiful suggestions to lighting up a room. I love the crushed velvet lamp. I love how they all look so classy and timeless and will go in any room. The White Bulbous Table Lamp with Grey shade is my favourite. I love them all but particularly the Mosaic Ball Table Lamp! Love the little mosaic table lamp 💖 it would be perfect in the hall of my new house! Gorgeous lights, we are decorating and will be looking for lights soon. stunning collection, would love to upgrade our lighting. The ceramic grey is beautiful! Beautiful prize, fingers crossed to win! The chandelier is my favourite, they’re all gorgeous but I need that chandelier in my dining room! I’d love to win any of these! They would be the light of my life!!! Fab Prize – looks great! Some great designs. I particularly like the chrome base table lamp. Elegant and glam rolled into one! 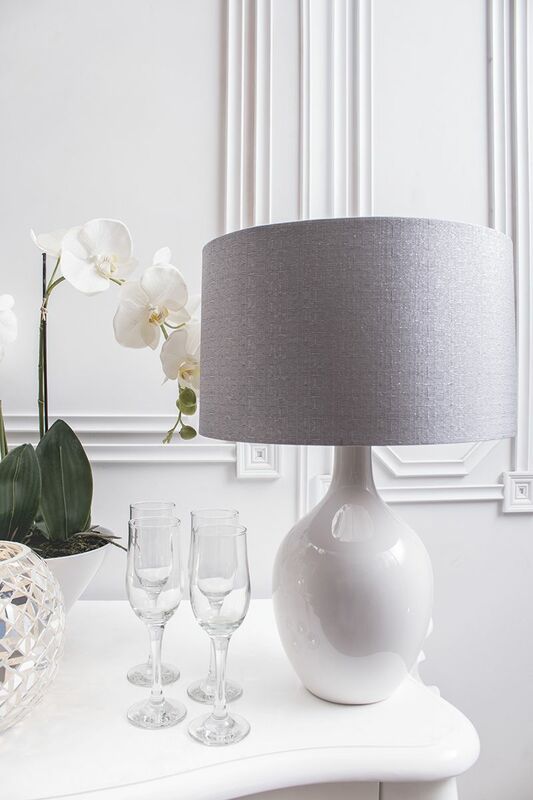 Love the grey table lamp, so smooth and glossy, contrasting perfectly with the textured design of the shade. Grey is so on trend this autumn. We have just moved house and grey is our in colour scheme, so this would be perfect. Thank you for another amazing giveaway. Love the quality of LiteCraft products! This chandelier is so pretty ! Would love for my bedroom ! Everyone needs some glam in their life and this would definitely be mine I love it ! I’ve always wanted a Chandelier, I would feel posh lol they always shine a beautiful pattern on the wall and finish off a room nicely. All of these beautiful designs and colour scheme would look beautiful in my house, beautiful! Beautiful and would fit my purple and grey colour scheme so well! These are lovely! I especially like the Avignon Crystal Chandelier its gorgeous! would look fab in my living room. Really love the crystal ones, perfect for sending little rainbow Prisms around the room! Beautiful lamps! l would love any of them in my home to add that WOW factor!!. They are beautiful. I particularly like the mosaic ball. I love all the lamps and lighting on your website. Whatever your home’s decor, you’ll be able to find the perfect lamp. Love the white bulbous table lamp. Oh wow! Some absolutely beautiful pieces…. I’d love to own one! I particularly like the Mosaic Ball Table Lamp. It would look beautiful in my lounge. How fabulous that the winner will get to choose from all these gorgeous lights! So chic and very gorgeous. These are gorgeous designs! 😀 I love how effective these are. They are al lovely, but I especially like the crystal chandelier which would look lovely in our Victorian house. Just moved into a new flat that is crying ouot for side lights and standard lamps in several corbers. Oh wow, they are all gorgeous! And would match my living room perfectly. Fingers crossed! I love the Chrome Base Table Lamp!! The table lamps are nicely designed, my favourite is the glass mosaic table light, beautiful looking lamp. Such beautiful lighting! I would love to win this competition. We are just completing our loft conversion & I am in need of new lighting. Everything looks beautiful. Been eyeing this one up for agessss- Definitely the avignon crystal chandelier to go in our renovated living room in our newly bought 1930s semi! I’d also purchase the same or similar one for my bedroom to go with my new dressing table hubsy bought yesterday for me as a get well present as I had an operation and awaiting results in a few weeks- fingers crossed!